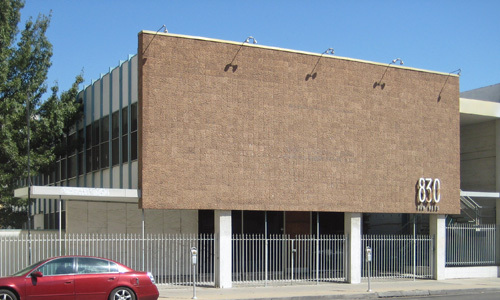 This is the first building constructed in the 1960s to be placed on Fresno's Local Register of Historic Resources. The two-story Mid-century Modern building is enhanced by a facade of Hans Sumpf adobe tiles, designed by local artist Stan Bitters. Copyright © 2012 Historicfresno.org. All Rights Reserved.